Thanks to Jacqueline, I was invited to Wild Sweets for a tasting of their new summer products. I live in Richmond and am always on the lookout for new restaurants, but looks like I’ve missed this one. 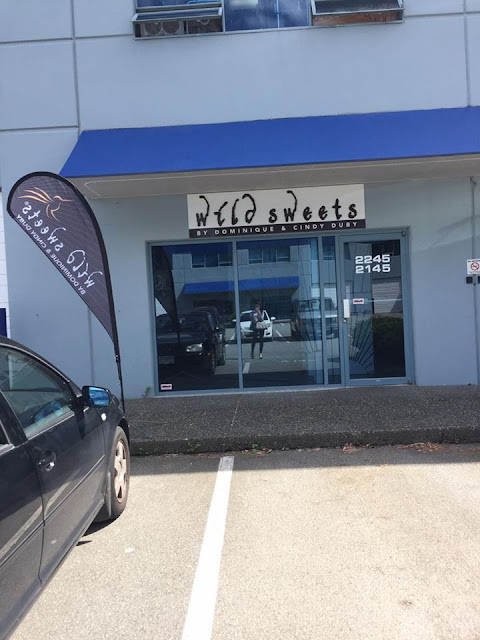 Tucked away in the commercial offices behind Ironwood mall, Wild Sweets offers a small retail section but focuses on selling to retailers. However, they have recently launched their new summer collection: Prêt-á-Manger, which is only available at this retail location. My favourite was the white chocolate as I love the pairing of white chocolate and raspberry. I liked how it wasn’t too tart or sweet. This was my favourite out of the tarte collection as I loved the fresh lemon flavour without it being overly sour. It was just the right balance. These were all delicious but my favourite had to be the Pistachio Strawberry. The sorbet was so refreshing and I loved the nutty flavour of the pistachio. I think what’s worthy to note is that the goodies at Wild Sweet go through intense research to get to where they are. The owners, Dominique and Cindy Duby, are world-acclaimed chefs, chocolate makers, and designer chocolatiers. They really know what they are doing and have even written cookbooks and won many awards. They also use a bean to bar approach so all the chocolate is actually made in house from the start of the bean. I find that very amazing as their production facility is quite small and taking this approach can be very costly. Everything is produced in house, except for the chocolate pearls. They really pride themselves in the quality of their products. Other than the new Prêt-á-Manger collection, you can find chocolates and fruit confits. Their fruit jams are to die for! The intensity of the fruit flavours are so strong and only contain 20% added sugar. Their selection of chocolates and confections make great gifts for family and friends. At the end of our tasting, we got to take home some delicious snacks, including some of their chocolate bars, the buttered caramel popcorn, and the dark chocolate bark. Everyone at home really enjoyed these and devoured them in no time! Overall, I am extremely happy to have discovered Wild Sweets and learned a ton about chocolate from the owners. They are truly passionate about what they do and it is amazing to see how much time into perfecting each product. Currently, the retail store hours are only Saturday 10AM-4PM, but if you order online, you can arrange for pickup by appointment.